Smart Home Lighting and Theater systems that integrate with your lifestyle and environment. MediaTech provides fully integrated smart home automation in Wilmette, IL and the surrounding communities. With our home automation systems, you can experience luxury at its finest. Our smart home automation in Wilmette provide you with full control of your home. From lighting and climate, to entertainment, and to surveillance, you have the ability to control and automate each system to your preferences. With a smart home system, you can enjoy an easier lifestyle in the comfort of your home. Let MediaTech install smart home lighting systems to your Wilmette home for added ambiance and luxury. With the variety of control options available, the possibilities are endless. 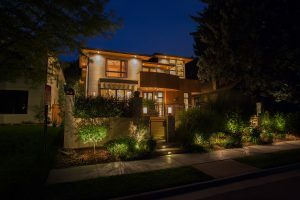 Automate your lighting control system to turn off when you leave a room, to light up the pathway to your doorstep, or to set the mood for hosting guests. In addition to its utility and beauty, a home lighting control system from MediaTech can help save you upwards of 10-20% on your energy use. This makes smart home automation a great option for savvy homeowners who want to lower energy costs and reduce their carbon footprint. Experience a home theater system like never before. With professional installation from MediaTech, you will get high quality sound and picture. You can have sound-absorbing panels that will contain the sound to just the room in order to prevent from disturbing others. You will have full access to cable TV, online streaming services like Netflix, as well as video games like Xbox and PlayStation thanks to a dedicated media server. Bring the theater home with a dedicated media room. 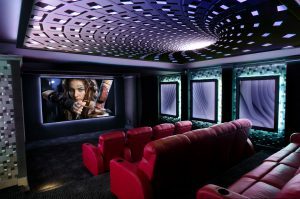 With surround sound, a projector, theatrical seating, color-changing lights, and even a popcorn machine, you will have the ultimate home theater that is sure to impress every time you use it. To learn more about our home lighting control systems, home theater systems, or additional services we offer to the Wilmette area, give us a call or use the form to contact us. MediaTech specializes in smart home automation technologies and can integrate hundreds of media, lighting, communications, and environmental processes and systems into one harmonious structure that can be easily controlled by you with the touch of a button. Whether you’re interested in starting with one system at a time or are looking for a fully-integrated intelligent automation system for your home, we can be of service. Learn more about automation services like home lighting and home theater systems from MediaTech, backed by our one‐year warranty, extended maintenance agreements and 24/7 emergency service. Contact us for a free consultation. Home Automation System, Audio/Video, Home Theater, Smart Lighting, Surveillance, Network & WiFi, Climate Control, Window Treatments.